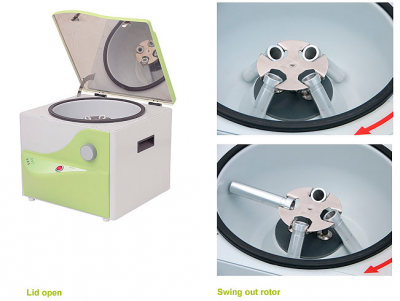 Releasing finger pressure de-energies the rotor, but the lid remains locked until the rotor is at rest. Operation making it suitable for quick spins. 1. Spillages are contained within a gulley in the centrifuge bowl where the Rotor is spinning to contain spills.